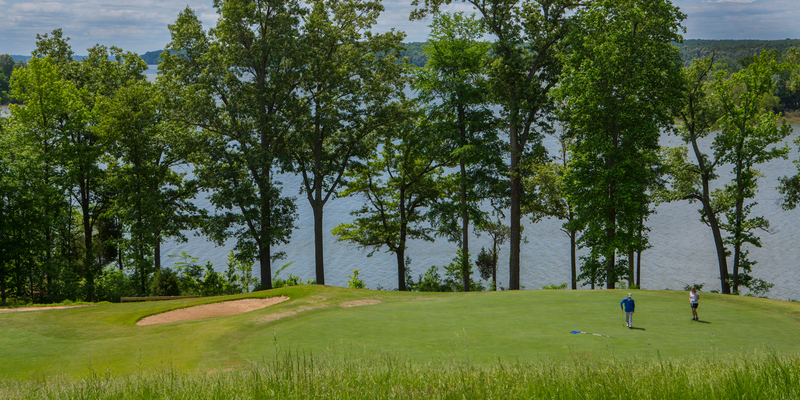 Situated along the shores of Lake Barkley, Mineral Mound State Park Golf Course is a great place to spend the day and present a challenge to all level of players. 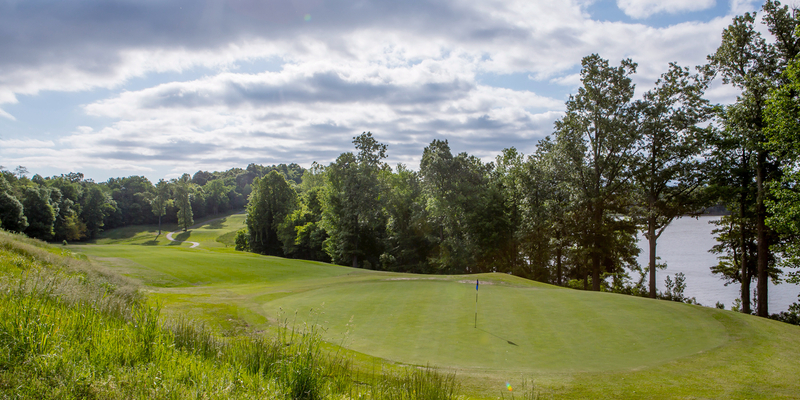 The front 9 holes are situated in the native hills and forest area of historical Lyon County. The No. 4 hole offers long uphill shot making. 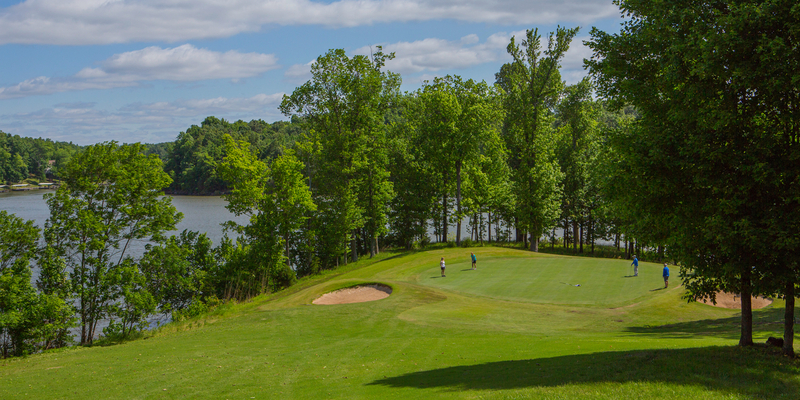 The back 9 offers beautiful lake views with several holes flanked by water. The No. 11 plays over a lake inlet. 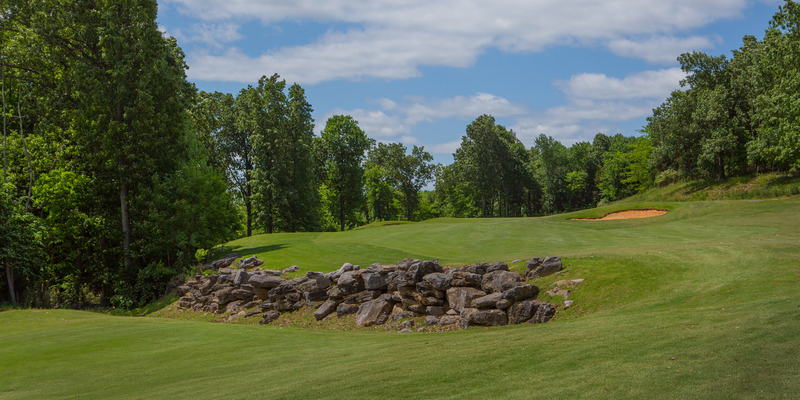 The facility has a magnificent new golf shop that offers scenic views from atop a hill overlooking Lake Barkley. Public boat ramp and picnic areas are available to enjoy a day of relaxation and enjoyment. Please call 270-388-3673 for current rates. Call 270-388-3673 for rates and tee times. Contact Mineral Mound Golf Club at 270-388-3673 for more information and details on holding a golf outing at the course. he nautical theme of the Village Inn Lodge lobby is reflected in a spacious, bow shaped design, polished metalwork and rich aquatic tones. Each of the 72 rooms at the Village Inn Lodge offer a private patio or balcony. The Village Green Inn, located by the 18 hole golf course, offers 14 rooms and may be rented as an entire unit for a group. Rooms available by late afternoon. Check-out by noon, Central Time. Pets are not allowed (with the exception of service dogs). With 68 cottages, Kentucky Dam Village has more choices for overnight accommodations than any other state park. You can choose a one, two, or three-bedroom cottage with one or two baths. Tableware, cooking utensils, and linen are provided. Open year-round. Cottages are available by late afternoon. Check-out by 11:00 AM, Central Time. Pets are not allowed (with the exception of service dogs). Nestled in the lower level of the Village Inn Lodge and offering a view of the last dam on the Tennessee River and the marina, our award winning staff prepares the freshest foods. From cedar planked salmon steak and New York strip steak to our very own Kentucky fare, the menu offers something for everyone. Open for breakfast, lunch and dinner every day. Harbor Lights is dedicated to bring you the best of western Kentucky hospitality. As a supporter of Kentucky Proud program we utilize locally grown meats and produce when available. This profile was last updated on 12/11/2015 and has been viewed 14,447 times.